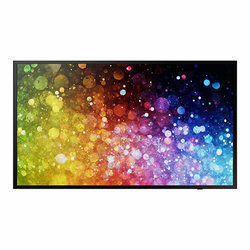 Providing you the best range of lg 43lw300c commercial 43" led tv, benq st550k digital signage, lg digital signage 55se3kb 55" full hd edge-lit led monitor, lg 43se3kd 43" fhd edge-lit led tv monitor, samsung led tv dc55e series 55" and benq st430k digital signage with effective & timely delivery. 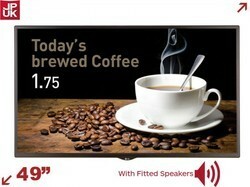 The BenQ ST550K is the best smart signage ever for in-store display. Besides the striking 4K2K UHD images, you can plug ‘n’ play with an USB flash drive, no extra media player needed, as well as edit, display and manage your digital contents using BenQ’s X-Sign app and custom Android™ OS platform. 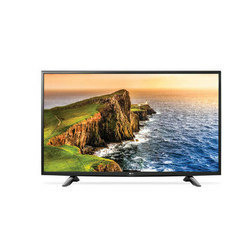 Samsung LED TV DC55e Series 55"
Direct-lit LED technology provides the image quality and energy saving advantages of LED technology, along with the uniform brightness typical of CCFL displays. 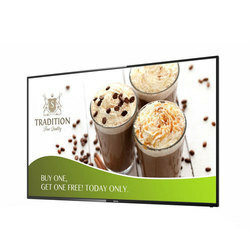 DVI, HDMI, and VGA inputs provide enhanced connectivity options to help meet the digital signage needs of your business. 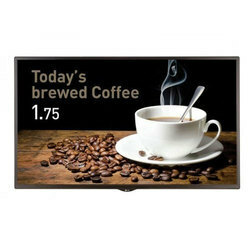 The DC-E-series displays are designed to operate up to 16 hours a day, 7 days a week. The 43-inch ST430K is the total package suitable for small business and corporate setting. It brings together a wide variety of features, including stunning 4K resolution for enhanced engagement, stylish slim design,X-Sign software for effortless content creation and management, and MDA application for hassle-free display control. On top of this, with the easy-to-use meeting solution Zoom, you can instantly connect your teams and clients without expensive infrastructure. It is the solution saving you time, efforts and resources all at once. The 49SE3KB 49" Full HD Edge-Lit LED Monitor from LG is a commercial-grade display that is suitable for digital signage applications. The 49" monitor features a 1920 x 1080 native resolution for viewing detailed high-definition images. 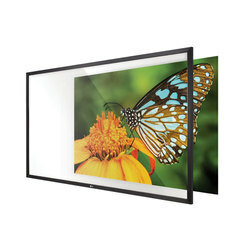 This monitor's edge-lit LED backlighting allows for reduced power consumption, a thinner depth, and a smaller bezel. While this monitor does not include a stand. Slimmer BezelThe thinner bezel provides this monitor with a sleek look.Detachable LogoWhether using this monitor in landscape or portrait, the LG logo can be moved to the proper orientation.Cable ManagementThe well-organized cable terminals in the back optimize available space. Content SchedulingPlay and schedule contents with a USB connection; no server connection required.Dust & Humidity ProtectionConformal CoatingCircuit board reliability is enhanced with conformal coating that protects against dust, iron powder, humidity, and other harsh conditions.Remote ManagementSimple Network Management ProtocolSNMP supports ensures convenient network management.Wi-Fi SupportSE3KB Series support Wi-Fi USB dongle connection for convenient content distribution.Convenient Screen ModesAspect Ratio SustainabilitySustain the same resolution and picture quality while powering on/off by receiving EDID through switch IC.Stand-By ScreenEven without signal from the media player, the network does not turn off completely, so remote control is possible, which prevents unnecessary power usage and enables efficient management. 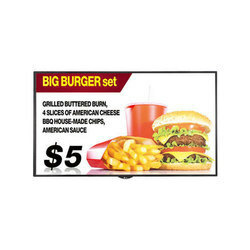 DC43J - Edge-Lit LED Display for BusinessAn affordable, high-quality digital signage display featuring Full HD resolution, reliable 16/7 operation and intuitive content management. 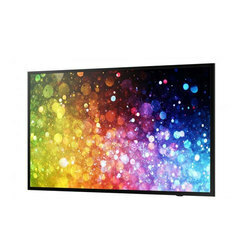 Achieve sharp, detail-rich images and crisp, legible type with the edge-lit LED panel featuring 1920 x 1080 Full HD resolution with 300 nits brightness and a 3,000:1 contrast ratio.within reach of every business. 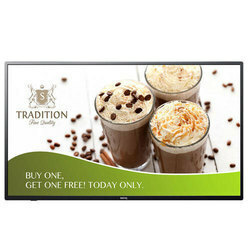 Looking for Digital Signage ?